by Dave (W5CWT) One of the pleasures of the new year, is the PSKFest hosted by the PODXS 070 Club! The event is held on the first Saturday of the year and causes the digital bands to light up like fireworks. 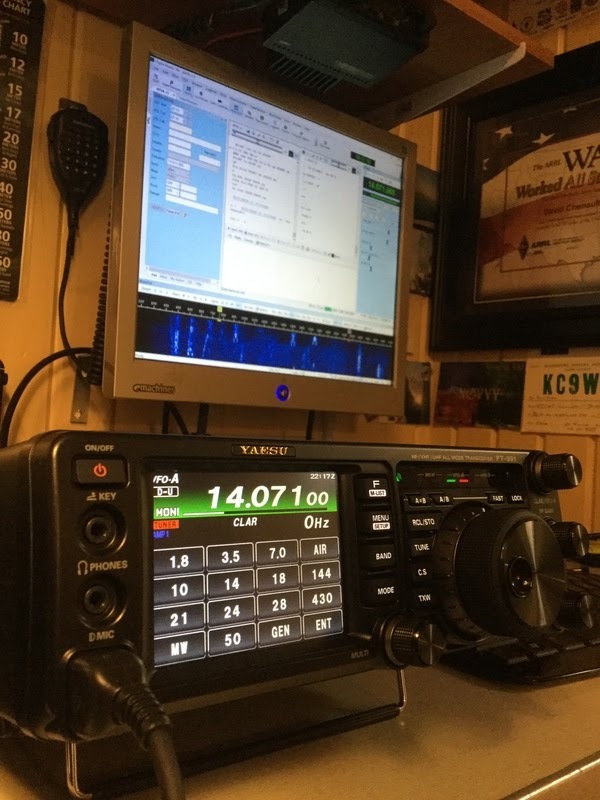 This year, I put my new FT-991 to the test and came away with just over 40 contacts. I only worked about 2 1/2 hours during the day, so, I was pleased. The 991 performed flawlessly. One nice thing about the PSKFest is the automated scoring system. Simply export your QSOs to an ADF file and upload them to the scoring program. It instantly shows you your results and as well as updates the overall contest results. Check out the 2016 PSKFest live results page here. If you dabble in PSK, mark your calendar for next years event. In the mean time, consider joining the 070 club. It's completely free and they send you cool stickers to note your PSK accomplishments. To join, simply make 100 PSK31 contacts and then send them your log. Find out more on the 070 website.